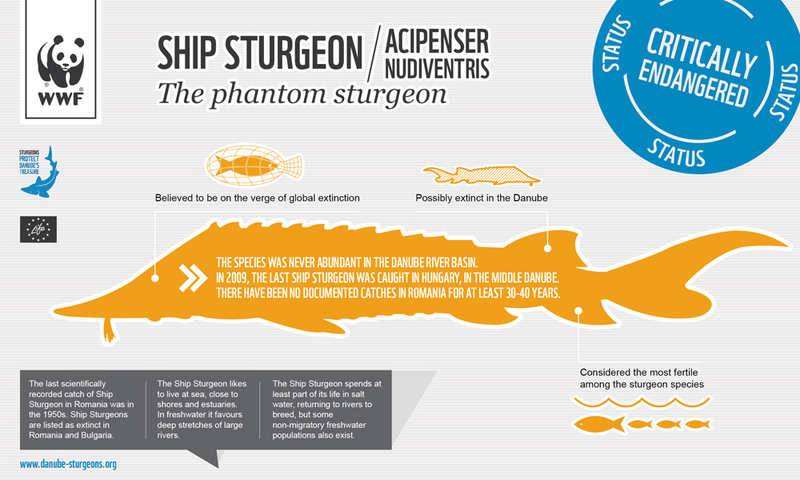 Ship Sturgeon (Acipenser nudiventris) was never abundant in the Danube River basin. 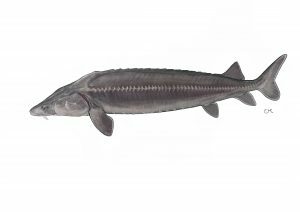 The last reported catch of Ship Sturgeon was in the Hungarian part of the Middle Danube in 2009. There have been no documented catches in Romania for at least 30-40 years. Ship Sturgeons are Critically Endangered. 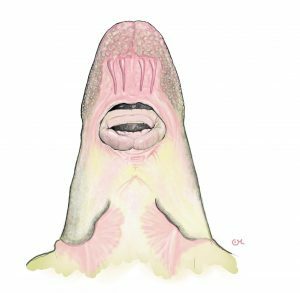 This sturgeon matures relatively late and lives up to 30 years. The Ship Sturgeon likes to live at sea, close to shores and estuaries. In freshwater it favours deep stretches of large rivers. The Ship Sturgeon spends at least part of its life in salt water, returning to rivers to breed, but some non-migratory freshwater populations also exist. Possibly extinct in the Danube.